Inspired by the laneways of Melbourne and the Snickelways of York, Auckland city’s very own Snickel Lane is tucked between Fort Lane and Commerce St – making it a convenient place to stop by if you are near Britomart, heading to Spark Arena, or close by on Queen St or High St. The design of this little lane embraces the character and history of the surrounding area, and the fit-out incorporates recycled materials like old butcher tiles handpicked from local demolition yards and recycled barn timber. The surrounding walls are adorned with vibrant art, which will be updated annually by students of the ELAM School of Fine Arts. Whether you are after a bite to eat on your lunch break, a post work drink, or a pre-show dinner, grab a table in the shared space and enjoy some quality food and drinks from any of the outlets. Ika Bowl started with three mates with a shared passion for celebrating and recognising healthy Polynesian food. 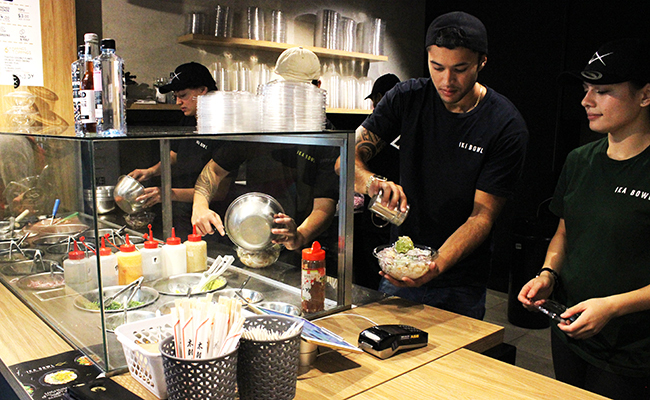 They offer fuss-free, delicious and healthy poke bowls served with your choice of tuna, salmon, chicken or tofu. 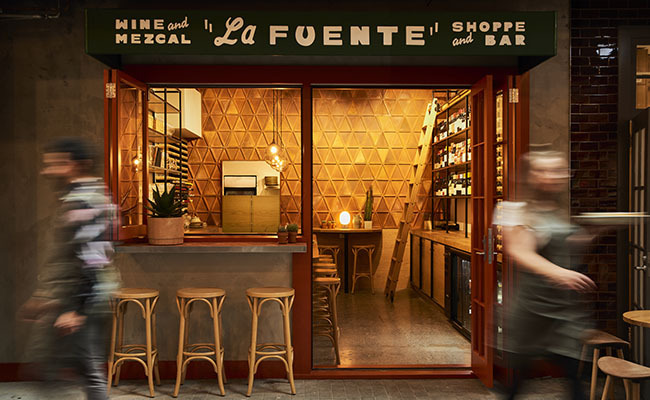 Auckland city welcomes New Zealand’s first mezcal bar, found down Snickel Lane. Trending all around the world, the mezcal set up offers a unique mix of wines, artisan mezcal - distilled alcohol made from the agave plant - as well as delectable mexican-inspired dishes. 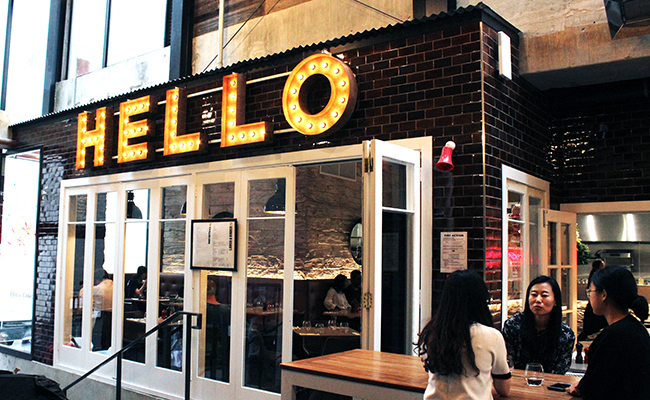 Visit Hello for a casual breakfast, lunch or dinner. The menu brings together exquisite flavours from across Europe. From Italian-style pastas such as carbonara and spaghetti puttanesca to Spanish chorizo arancini and saffron chicken, the food selection won’t disappoint. 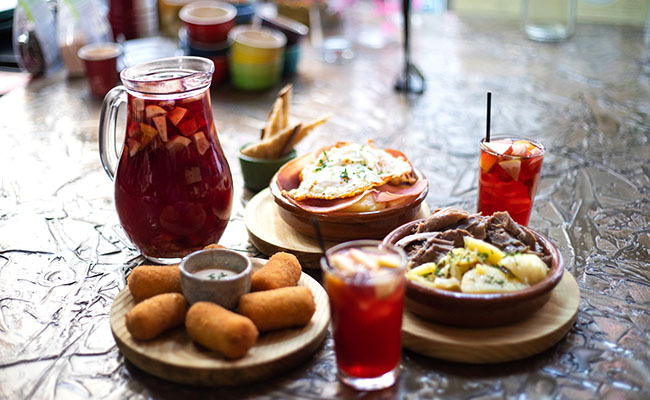 Madriz brings an authentic Madrid tapas bar experience right to the heart of Auckland. At morning, midday, or night-time, share the great taste of true Mediterranean cuisine with friends or family. Make sure you try their popular Felisa's roast lamb – it's so good it often sells out. Mad Samurai is a collaboration between two Japanese restaurateurs and two New Zealanders, bringing a Kiwi take on Japanese cuisine. 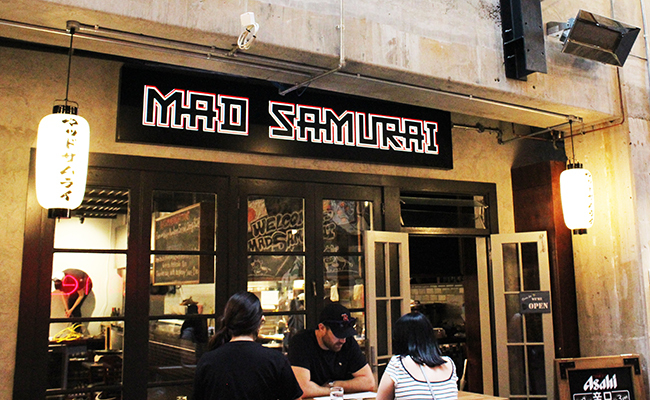 Mad Samurai combines relaxed style Izakaya dining (shared plates) with a speciality in Wagyu beef dishes. Altezano Brothers is a family-owned coffee roasting company who aim to provide the most enjoyable cup of coffee in both quality and flavour. Grab a long black, flat white, cold brew, whatever pleases your taste buds and enjoy in Snickel Lane or on the go. 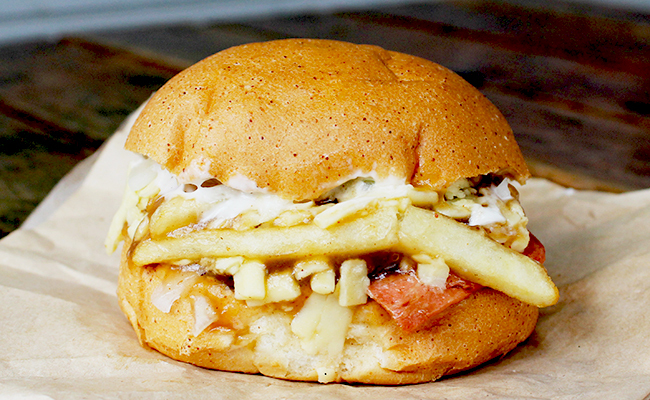 Lord of the Fries can be found at the Commerce Street side of Snickel Lane and their delicious and vegetarian menu will keep you busy as it offers original takes on favourite classics. 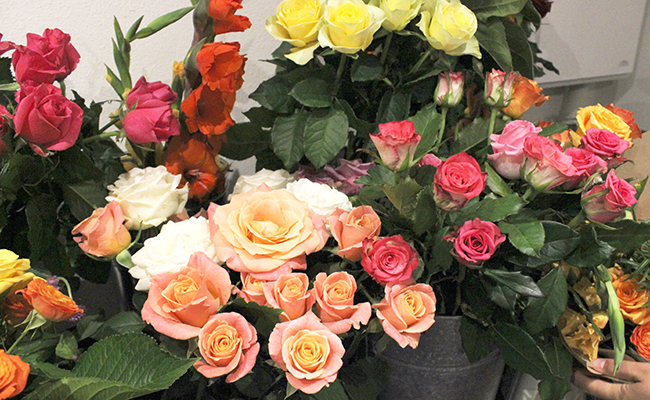 Adding some more pop of colour to the lane is the Snickel Lane Florist, a full service florist offering flowers and a unique gift range for all occasions. 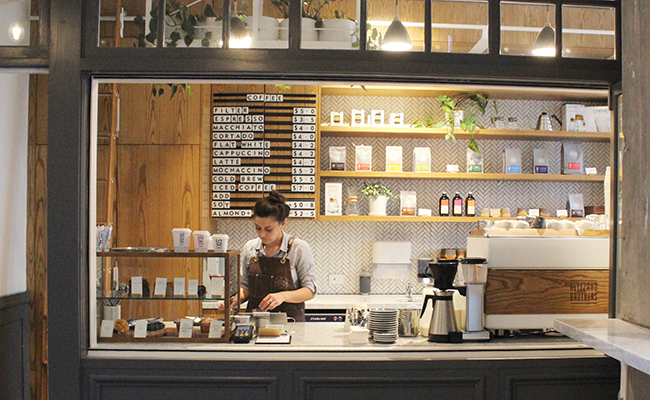 A great place to stop by if you wanting to freshen up your work desk or home. While we’re sure you’re already convinced Snickel Lane is a great place to visit, as an added bonus, you are able to enjoy free Wi-Fi when you are there.